Hands down, the best massage chair out there is the Zero-Gravity Full-Body Kahuna Massage Chair Recliner LM6800. While all of the massage chairs that made our top 10 list are chock-full of outstanding features, the Kahuna LM6800 offers unique benefits like yoga stretching and chiro massage that put the chair in a league of its own. When you invest in a great massage chair, it’s like having your own personal masseuse available 24/7 in the comfort of your own home. There’s no need to squeeze a formal appointment into your busy schedule, drive to the spa, or wait around for your massage therapist to be ready for you. Just sit back and relax (literally), any time of the day. 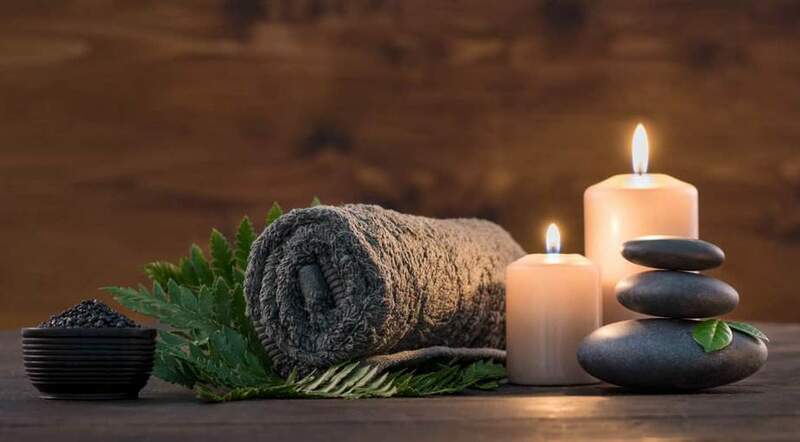 While massages benefit all of us in similar ways — by easing aches and pains and promoting relaxation and general wellness, for example — no 2 individuals have precisely the same needs and preferences. When you visit a real spa for a massage performed by a human, there are different techniques, levels of pressure, and add-ons that you can choose. The very best massage chairs on the market offer a similar range of options, so that you can have the perfect in-home massage for your needs — even if those needs change over time. Realizing that you deserve a massage chair in your life is the easy part. Figuring out which massage chair is right for you is, unfortunately, anything but relaxing. You could spend hours combing through thousands of product listings and comparing the features, prices, and customer reviews to narrow down your search for the perfect massage chair…or you could skip to the good part. 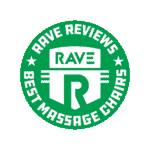 RAVE Reviews has identified the best massage chairs on the market, across all price points, to make your decision easier. Read on and find the massage chair that will change your life. Who says you need to visit a spa to have a spa-quality experience? This L-track massage chair has 4 rollers and advanced air cell technology to offer you an extensive and unbeatable full-body massage. 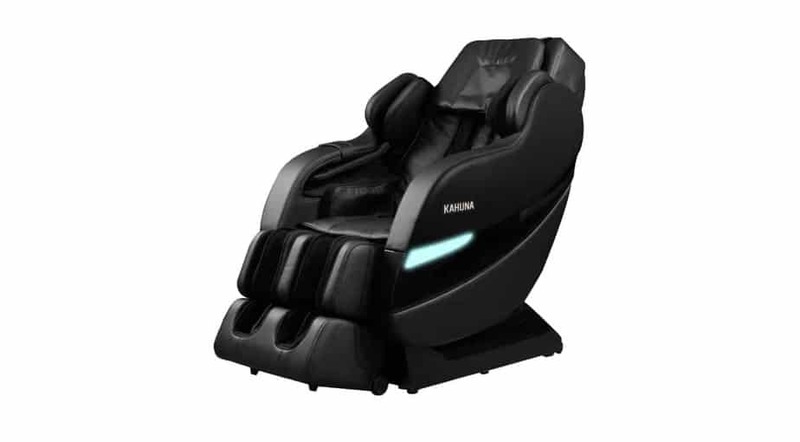 Complete with cutting-edge features like smart body scan technology for a custom massage, signature yoga stretching and chiro programs, and not one but 3 zero-gravity positions to take stress off of your body, the Kahuna LM-6800 is the best all-around massage chair on the market. BestMassage’s Full Body Zero-Gravity Shiatsu Massage Chair Recliner is a great value, offering the best selection of features for under $1,000 on Amazon. 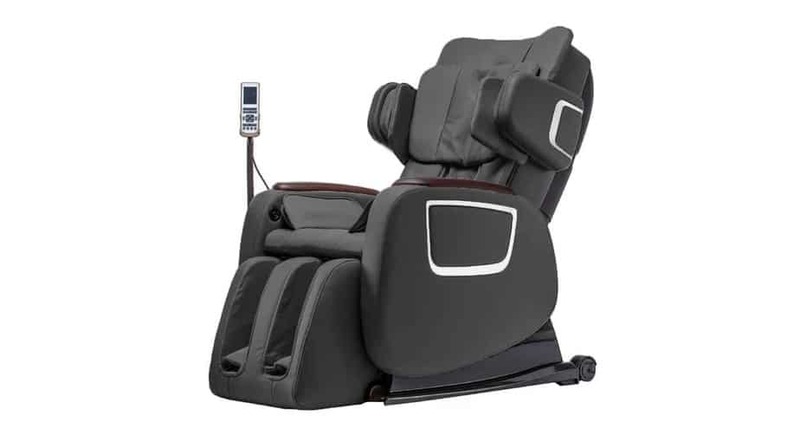 Here you’ll find zero-gravity seating, a space-saving design that requires just 3” of space to recline, a “super long” 50” massage stroke that stretches from neck to thigh, and an automatic intelligent body scanning system. Tall people have a notoriously difficult time finding a massage chair that accommodates their larger frames and offers a good massage even in the neck and shoulder areas. The Kahuna SM-7300 solves the problem, with a weight capacity of 320 pounds and an extra 3 inches in the shoulder and hip areas that makes the chair suitable for heights up to 6’5”, plus in-demand features like space-saving design, zero-gravity seating position and an over-achieving 6 massage rollers. A great massage chair is so much more than a piece of furniture. Whether you’re bogged down by physical discomfort on a regular basis or just coping with the usual amount of stress, this little bit of relaxation can go a long way toward improving your life. The right massage chair can help you sleep better, move better, and feel better — and it’s no stretch of the imagination to expect other aspects of your life to get better in turn. One of the first factors to consider when comparing massage chairs is the track design. Track design refers to the shape of the track on which the rollers — the mechanical parts which perform the motions of the massage — move. The massage chairs that became popular decades ago generally had fixed frames, often with stationary vibrating massage heads. As technology has advanced, chairs with innovative new track shapes that better mimic a massage by a real masseuse have come onto the market. Many massage chairs today have what’s called an S-track, named for the way it curves to follow the sinusoidal curve of the human spine to the tailbone. This track design naturally offers a better massage. L-tracks, sometimes called hybrid L/S tracks, extend the rails of the rollers lower, creating an L-shape that massages the glutes, hamstrings, and buttocks. 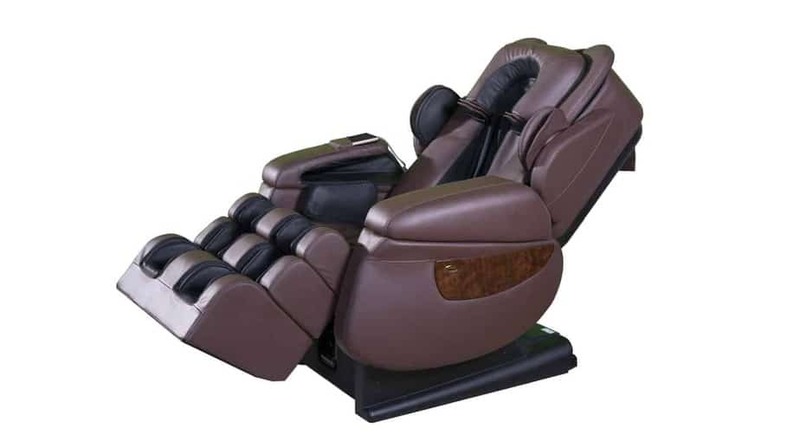 Full-body massage chairs typically have additional rollers for massaging legs and feet. Some offer airbag or roller massage technology for other areas, such as the arms. Gravity takes a toll on your body, constantly pulling you down. 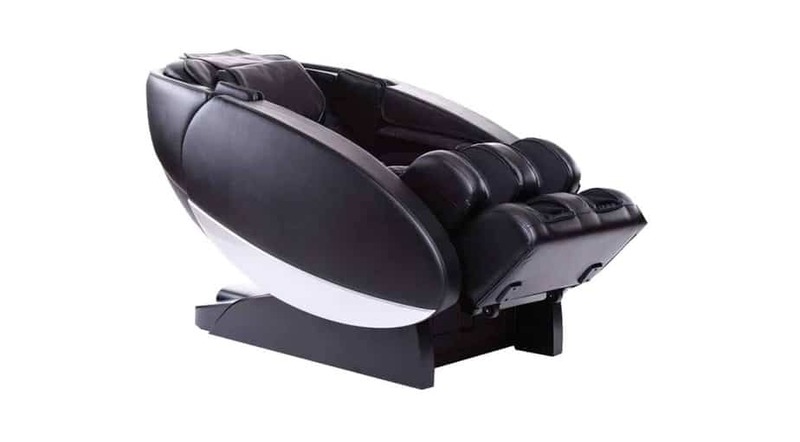 A massage chair that has a zero-gravity position reclines you to evenly distribute your weight, removing the strain of gravity and allowing you to see better results from your massage. Because of these superior benefits, zero-gravity is a sought-after feature offered by only one-third of massage chairs on the market. Some of the best massage chairs take zero-gravity to the next level, offering more than one zero-gravity position or preprogrammed massage. A massage chair can take up a big chunk of your living space. Traditional recliners may need 2 or more feet of space open behind them. Massage chairs made with an innovative space-saving design reduce the space needed to recline to just 2 to 3 inches. If you’re short on living space, space-saving design is a must-have feature. The best chairs come with a mix of massage methods to choose from and pre-programmed massage modes that combine different methods. Manual massage methods might include kneading, tapping, a combination of kneading and tapping, rolling, and a popular Japanese acupressure technique called Shiatsu. Automatic modes combine these massage methods and other technologies in targeted ways, such as full-body yoga stretching or massages specially tailored for golfers, office workers, or senior citizens. Heat is a feature commonly found in massage chairs, but different chairs offer this option in different configurations. Some chairs have heat therapy options in the spine, or the legs and lower back only, or at the waist and hip region. Depending on the chair, you may be able to use the heat functionality without the massage going, or you may be limited to heat during an active massage. The level of heat is adjustable in some massage chairs, while in others, it is fixed. People of all different heights, weights, and builds use massage chairs. Unlike a human masseuse, who will naturally adjust the massage to fit the body of the client, a massage chair doesn’t have the capability. However, many of the best massage chairs have embraced intelligent scanning systems that use smart sensors to measure your body frame and customize your massage to fit your body. This technology means you get a better, more personalized massage, just as you would from a human masseuse at a spa. A massage chair is an investment — that’s for sure. Most of the best massage chairs cost at least $1,000 to $2,000, and some high-end chairs cost upwards of $8,000. However, you can buy some great massage chairs with fewer bells and whistles in the hundreds of dollars price range. Massage chairs aren’t cheap, but neither are professional massages. If your plan is to use your massage chair in place of going to the spa (even some of the time), this purchase could actually save you money in the long run. There are so many factors to consider when choosing the right massage chair for you that it may be difficult to figure out where to start. After a great deal of research, our team has narrowed down which aspects of the massage chair market are truly the most important. We look at the breadth of product features and specifications as well as reviews by individual purchasers and top influencers in the world of massage chair innovation. 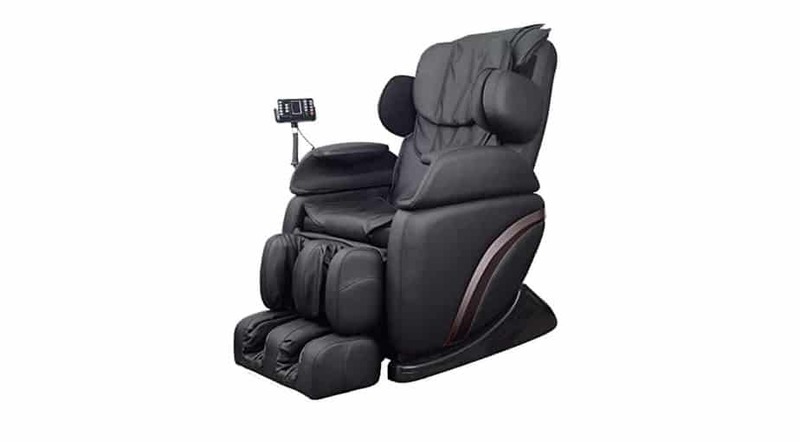 Kahuna’s LM6800 Massage Chair Recliner is an L-track chair featuring 5 massage modes: Shiatsu, kneading, tapping, a kneading and tapping hybrid, and rolling. Smart body scan technology helps the chair customize your ideal massage. Among the 6 automatic massage programs are 2 signature programs: SH-Chiro and full-body yoga stretching. With 4 rollers plus a full-body air massage, this chair has everything you need for whole-body relaxation. Heat therapy for the lower back and legs and a dual roller for your feet complete the experience. The Kahuna LM6800 massage chair takes zero-gravity to a new level with 3 different zero-gravity positions. Other benefits include a space-saving design that requires just 3 inches of space, advanced air cell technology for a quieter massage, and a 3-year warranty. At a modest price of $1,899.00, the Kahuna LM6800 is a great chair and a good buy. The massage chair has hundreds of positive reviews on Amazon. A couple hundred dollars cheaper than the Kahuna LM6800, but boasting similar features, is Relaxonchair’s full-body L-shaped massage chair. Many happy customers praise the affordable but full-featured chair’s 3 zero-gravity positions, built-in smart sensors that tailor your massage to the length of your spine, and uniquely designed adjustable airbags with 3 levels of intensity. 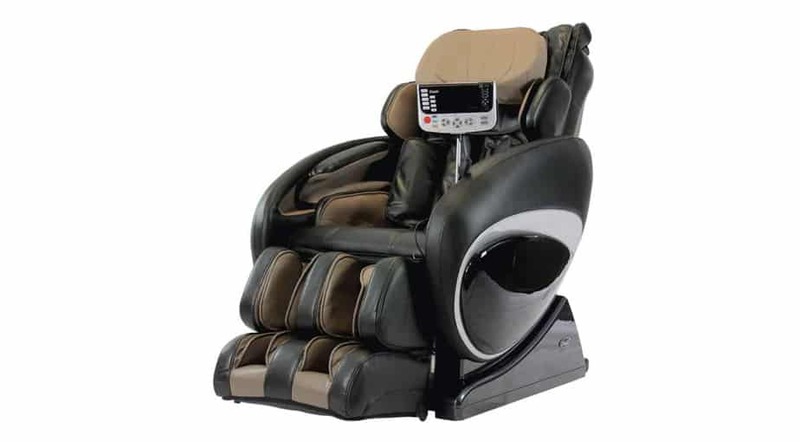 The Relaxonchair model offers 5 manual massage modes: rolling with dual rollers, kneading, tapping, a kneading and tapping combination, and shiatsu. Users report that the buttlock L-tracking system makes this chair an ideal choice for users who suffer from sciatica or painful glutes. Separate arm massagers and calf and foot massagers, plus 2 heating pads in the lower back, complete your massage. Customize your massage with the manual mode of your choice, or just sit back and relax while the chair performs one of its 4 fully automatic programs – Deep Tissue, Relax, Rejuvenate, and Stretch (also called the spinal decompression function). If you’re looking for the best bargain, you’re sure to get your money’s worth from the BestMassage EC201 full-body L-track recliner. If you think a zero-gravity space-saving massage chair for under $1,000 sounds too good to be true, we would have agreed with you — but we were pleasantly surprised. Buyers loved the full neck-to-buttocks 50” range of massage offered by the super long L-track rail and the 6-roller massage mechanism. In addition to manual massage modes like kneading, tapping, and shiatsu, the chair offers 4 automatic massage programs: Refresh, Extend, Relax, and Recover. An automatic body scan system helps the chair customize your massage to fit your body frame. Carbon fiber heating therapy at the waist and multi-layer airbags in the shoulders, arms, waist, seat, calves, and feet complement the roller mechanisms in the spine and feet. The extendable footrest allows the chair to accommodate users of different heights, making it more accessible to users who are on the taller side. With a full range of cutting-edge features, it’s no mystery why this chair would rank among the best massage chairs. 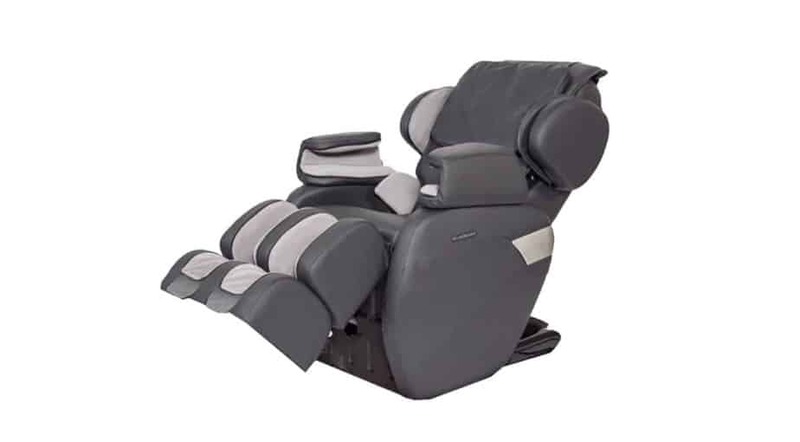 The Kahuna SM-7300 is a full-body SL-track recliner that incorporates 6 rollers, plus 32 airbags with 5 levels of intensity to choose from, into a blissful and customizable massage. In addition to the 5 manual massage modes offered by this and other Kahuna chairs, the SM-7300 includes 5 automatic programs: yoga stretching, relaxation, fast recovery, athlete and pain relief. Unlike the Kahuna LM6800, the SM-7300 has just one zero-gravity position, but it makes the most of the feature by offering 4 “special” automatic zero-gravity massage programs: Golfer, Senior Mode, Office Person and Dynamic Sport. The space-saving design allows for use even in tight quarters, requiring just 3” of space to recline. An additional 3” in the shoulders and hips extends the height capacity to 6’5” and the weight limit to 320 pounds. Another full-featured massage chair at an affordable price point is the iDEAL Luxury Massage Chair. Enjoy the multiple zero-gravity positions and 3-D intelligent detect mode typically reserved for more expensive models at a cost of just $1,279.95. The iDEAL Massage chair uses built-in heat therapy and 4 manual massage modes – kneading, vibrating, spinal rolling, and Shiatsu – plus 4 automatic programs to create the ultimate relaxation experience, whether you have half an hour or just 5 minutes to spare. One of the best benefits of this chair is the customizability it offers. Users can adjust numerous features to reach the perfect pressure, speed, airbag intensity, and heat for the massage of their dreams. This chair offers a truly head-to-toe massage that includes airbags in the calves and feet plus 6 kneading balls in the soles of the feet. Quiet operation technology allows this iDEAL chair to offer an overall more relaxing experience compared to noisy competitors. If money is no object, consider the Luraco iRobotics 7 Plus. This budget-busting massage chair runs on an operating system, just like a computer, and comes with a smartphone-like touchscreen remote. Classified as a “medical” massage chair, the Luraco i7 massage chair has been independently proven by third-party researchers to have positive health effects. This chair has it all, including Bluetooth speakers and 100 air cells. Enjoy full-body adjustable heat therapy and zero-gravity positioning. Advanced intelligent sensors customize massages even for users up to 6’7” tall. The i7 has only 3 manual massage types: tapping, kneading, and rolling. However, it offers 9 preprogrammed massages plus options to pinpoint the areas of the body you want massaged and adjust the intensity of rollers and heat therapy. Once you know what you like, you can save your settings – for up to 5 different users – so you never have to go through the hassle of finding your perfect massage again. At a more middle-of-the-road price point is the Osaki OS-4000T. Next-generation air massage technology covers more surface area with fewer total airbags (38) for a more comprehensive massage and a more durable chair. A standout feature is the OS4000T model’s upgraded reflexology foot roller. Perfect for users who spend a lot of time on their feet, the 2 rows of spinning rollers knead the soles of the feet for a deep acupressure massage. The OS4000T has all of the features you expect from a massage chair at the $2,000+ price point, plus extras like a wireless remote. Zero-gravity positioning provides a deeper massage. Buyers love the high-tech body scan and adjustable twin rollers that mimic human hands. Osaki’s OS4000T S-track model does not extend the rollers all the way down to the glutes. However, 6 massage styles plus 6 pre-programmed massages offer a full-body relaxation experience. Users can adjust speed as well as the intensity of both rollers and airbags. At the modest price point of $850, the Real Relax Full-Body Shiatsu Massage Chair Recliner Favor-03 is well worth what you’ll pay for it. It includes high-end features typically found in expensive models, like zero-gravity recline, built-in heat therapy, and vibration. One reason the Real Relax recliner costs so much less than competitors with comparable features is its old-school frame. Rather than an S-track design that follows the natural curve of your spine to the tailbone, or an L-track that extends this natural curve, this model is a fixed-frame chair. The roller mechanisms that deliver the back massage are stationary, only turning in place rather than delivering vertical strokes down the spine. The 4 automatic massages are simple, distinguished by intensity of pressure: sleep, mild, relaxing, and strong. Despite the stationary rollers, air cell technology offers a full-body massage. A separate foot roller and heater extends the massage all the way down to your toes. If affordability is your main focus, this ottoman chair could be the perfect choice for your massage needs and your wallet. At just over $200, this well-received chair will fit any budget. You won’t find fancy features like zero-gravity positioning and full-body airbags here. Like the #8-ranked Real Relax chair, this massage chair has a fixed frame, but unlike it, there are no moving rollers for a kneading or Shiatsu back massage. Users report that the chair only vibrates. That said, the chair uses its limited functionality well, massaging from the upper back down to the calves. 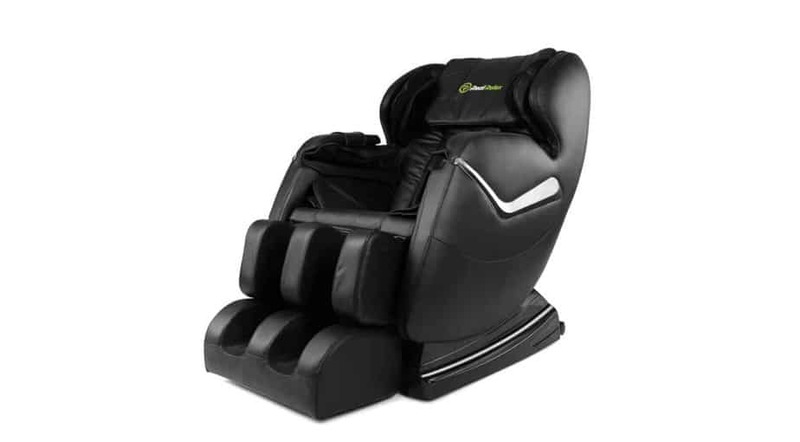 This Best Choice Products chair comes 5 automatic massage programs that combine heat therapy and vibration and allow users to choose from 9 levels of intensity. This affordable massage chair might not provide therapeutic pain relief, but it’s a perfect option if you’re looking for a little relaxation without breaking the bank. The Novo XT2 massage chair is a pricey option with all the extras. At $500 less than Luraco’s i7, the XT2 includes some of the same features, like zero-gravity massage and full-body stretching. The Novo XT2’s downloadable app can turn your smartphone into a remote, replacing the i7’s included touchscreen remote. The XT2 has a Cloud Touch Acupressure massage feature achieved through strategically placed air cells, that’s reminiscent of the i7’s 100-airbag, full-body air massage technology. One difference is the Novo XT2’s space-saving unibody hybrid S-L track design that covers a longer and broader region of the body. The Novo doesn’t have the unique operating system that makes the i7 so innovative or its full-body heat feature, but it does have several outstanding features of its own. With 35 auto wellness programs to explore, you’re sure to find your perfect massage. In addition to Bluetooth streaming, the XT2’s premium-quality sound system has built-in nature sounds. When you start exploring types of massage chairs, you must understand the differences between types of chair designs, types of track designs, and key features of massage chairs. The simplest distinction is chair design. 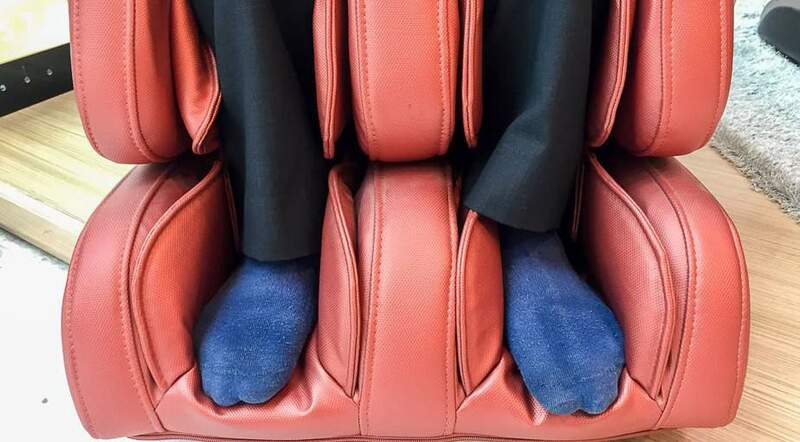 Most full-body massage chairs are recliners with a built-in footrest complete with leg massage ports. Some massage chairs have separate ottomans. Others are merely portable cushions. Track design refers to how the mechanisms of the massage chair work. The least advanced chairs have fixed frames of stationary massagers that pulse, vibrate, or turn. What they don’t do is move along your spine like a human massage therapist’s hands. These chairs tend to offer less authentic experience, but with adjustable settings, they can still give a relaxing massage. At first, all massage chairs had fixed frames, but today, most – though not all – of the best massage chairs have rollers that move on a track. In S-track chairs, rollers that move along the natural curve of your spine. L-track rollers continue that curve past the lower back and around the buttocks and glutes. Certain features are significant enough to stand out as a type of massage chair. While you won’t see this occur with trivial features like wireless remotes or Bluetooth functionality, you might consider core features like zero-gravity massage and space-saving design types of massage chairs. Other technologies that could be considered types include full-body air massage technology and full-body stretching capabilities. 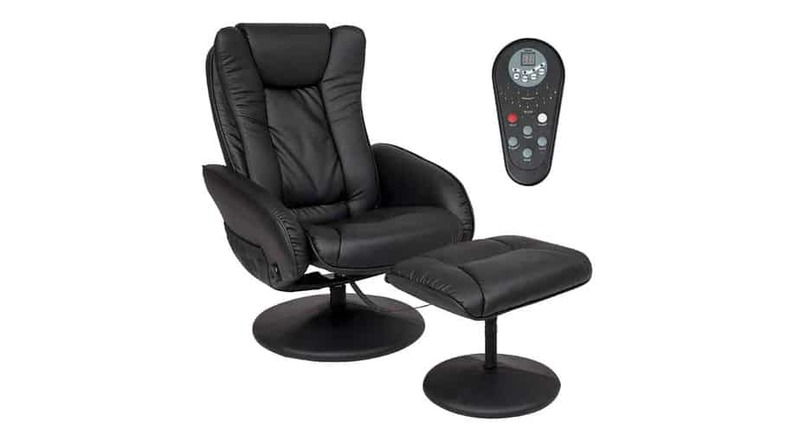 What should I look for when shopping for a massage chair? Shopping for a massage chair can be daunting. To make the best purchase possible, decide what features matter most to you and look for a chair that meets all of your must-haves. 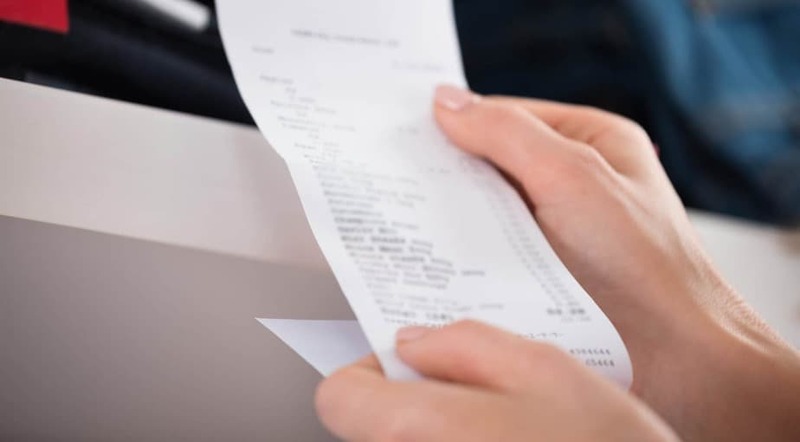 Look at the total cost to keep your purchase under budget. Perhaps most importantly, pay attention to customer and expert reviews of the massage chair you’re considering buying. The research needed to understand what options are out there, and which ones you personally want, can take time – but it’s time well spent. A space-saving design might mean little if you have plenty of room but be a non-negotiable requirement if you have a small living space. What kind of massage mode – Shiatsu, kneading, deep tissue – are you seeking? You may fear that you can’t afford a good massage chair. Fortunately, cost isn’t always an indicator of quality. Moderately and modestly priced massage chairs often perform as well as, or better than, extravagantly priced ones. However, set realistic expectations. A $200 massage chair won’t have the same range of features or longevity as one 10 times its price. The list price might not reflect the full cost of your chair. Factor in sales tax, where applicable. Often, shipping is free when you purchase your massage chair online, but this isn’t always the case. You must pay extra for white glove service if you want professional assembly. Save money by looking for sales, coupons and other discounts. Online shopping offers the greatest selection of massage chairs but poses another concern: you can’t sit in the chair and try before you buy. The next best thing is reading customer reviews. Read with an open mind, aware that even the best product won’t please every reviewer, and pay special attention to reviews of the features that most interest you. What are the best massage chairs? Whatever your budget and your massage needs, you want the best chair for your money. Fortunately, RAVE has your back. To identify the best massage chairs on the market, we analyzed all the data from the most trusted review sites across the Internet. The Kahuna LM-6800 Massage Chair was the best massage chair out there, but we found close contenders at every price point. BestMassage’s under-$1K EC201 model had the best features around at a budget-friendly price point. For tall folks who have trouble finding a massage chair that fits, the roomy Kahuna SM-7300 has extra space to fit frames up to 6’5”. A massage shouldn’t have to be a luxury that you can only rarely have due to the cost and the inconvenience. Having a massage chair in your home lets you enjoy the therapeutic benefits of an authentic, professional-quality massage as often as you want, whenever you want, at no further cost the what you initially paid for the chair. There are great massage chairs at every budget: affordable options like Best Choice Products’ recliner-ottoman combo and Real Relax’s Favor-03 and spare-no-expense chairs like Luraco i7 and Human Touch’s Novo XT2. 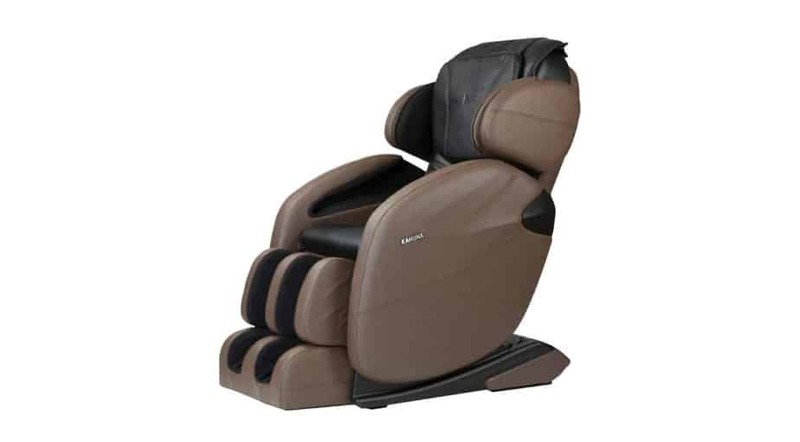 By shopping around, you can find high-end features like zero-gravity massages even in mid-priced massage chairs like Relaxonchair’s MK-II Plus, iDEAL Massage’s luxury chair, and Osaki’s OS4000T model. Once you’ve purchased the best massage chair for you, don’t forget a few little extras that will help you enjoy your chair even more. Calm Within: Music for Relaxation of Body and Mind: This best-selling album is the perfect soundtrack for your massage, available as an audio CD or MP3 album. Guided Mindfulness Meditation Series 1: A Complete Guided Mindfulness Meditation Program from Jon Kabat-Zinn: Take your quest for inner peace a step further with this popular audiobook on mindfulness meditation, suitable for beginners. Leviton TBL03-10E Tabletop Slide Control Lamp Dimmer: Just plug this dimmer into your table lamp and easily turn down the lights for a relaxing ambiance to accompany your massage. Plush Necessities Luxury Spa Robe: Wrap yourself in this lavish and comfortable microfiber robe, available in 5 stunning colors, and you really will feel like you’ve just walked into a spa. Neetto Adjustable Bed Table: Let’s face it – while you want to just relax and enjoy your massage, sometimes life is too hectic. This small adjustable laptop stand will fit nicely as you get your massage, allowing you to get some work done, pay bills online, check your email, or do some shopping.